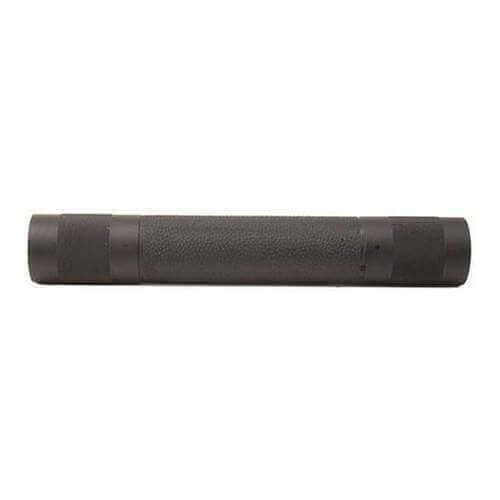 A longer forend – great for long barrels but fine for standard 16″ barrels too. Go FF with the Hogue Rifle-length AR-15 Free Floating Overmolded Forend. Bottom line first - I really like this handguard, it is on a 6.5 Grendel that will be used for target shooting and hunting. It feels good in your hands and is easy to carry. I would buy this again. The handguard itself and how it goes together is not bad but the barrel nut and the plastic wrench, like many have mentioned, is just not as good as it could be. That said, I had little trouble getting it on the rifle and lined up for the gas tube. On other handguards and barrel nuts, I am sure I would have torqued down much more though. I don't think this is a problem but time will tell. Take your time when installing and use standard barrel and handguard installation techniques and there should be no problem. I gave the 4 star rating based upon the barrel nut and plastic wrench. Also AT3 is great to do business with! Always liked the one on my other upper and knew I had to get a second. This is a wonderful item. The rubber wrap is warm in the winter and cool when the barrel heats up. The only problem I see is the wrench Hogue furnishes to install the fore piece doesn't fit! The fore piece is still a great product. The service from AT3 is terrific!!! It just can't get any better. What a great company!! !